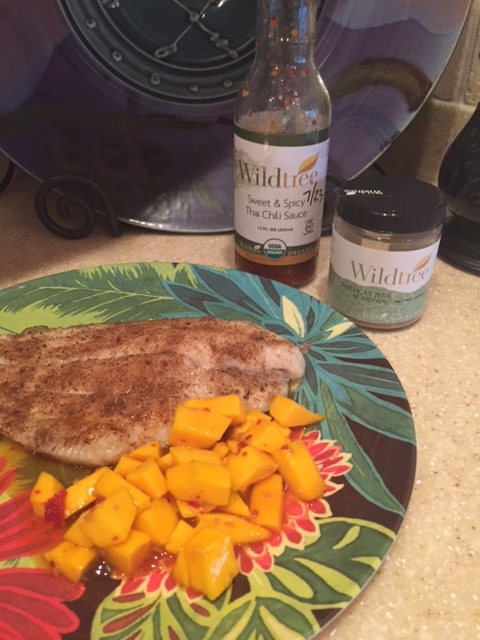 Sprinkle Wildtree Jamaican Jerk Seasoning over catfish filets after placing them in greased baking dish. Bake at 375 degrees for 20-30 minutes, depending on size and thickness of filet. For mango salsa, peel and dice mango, and mix with 1-2 tablespoons Wildtree Sweet & Spicy Thai Chili Sauce. Serve mango salsa with catfish.